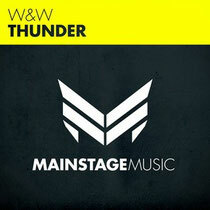 Dutch DJ/production duo, W&W’s latest track ‘Thunder’, out now on Mainstage Music, entered last week’s DMC Buzzchart at #1 and the hype for the track keeps on growing. Their track, ‘The Code’ is one of 2013’s most popular having entered the DMC Buzz Chart at #1 and spending over two weeks at #1 on the Beatport Main Chart. W&W followed it up with 'D#Fat' (w/ Armin van Buuren) and a remix of Armin’s ‘This Is What It Feels Like’, both of which received significant plays on many of the world’s biggest stages. Have a listen to the track below, and check out their forthcoming North American tour dates.